Hanoi (VNA) – UK Ambassador to Vietnam Giles Lever had a working session with Vietnam’s Ministry of Transport on August 29, conveying British businesses’ intention to participate in the expansion of Tan Son Nhat International Airport in Ho Chi Minh City. He said the UK aviation industry wants the Vietnamese ministry to provide information about the Tan Son Nhat expansion plan so they can get involved. Deputy Minister of Transport Le Dinh Tho said foreign firms, including British ones, can invest in the project. 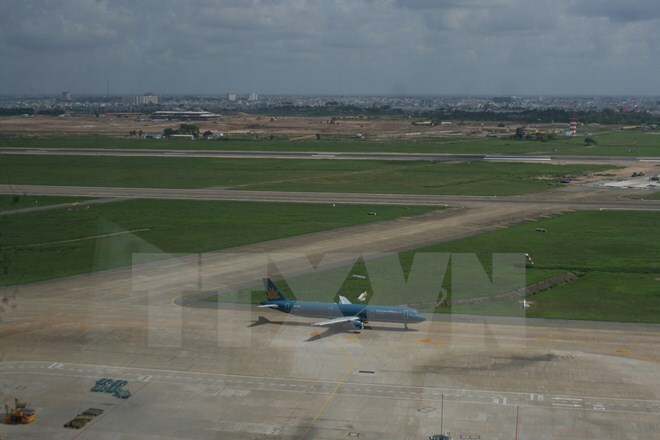 With their capacity and experience, British businesses can also engage in the construction of Long Thanh airport in neighbouring Dong Nai province as well as upgrades of other airports in Vietnam, he suggested. Earlier, the HCM City People’s Committee agreed with the ministry’s master plan to boost Tan Son Nhat’s capacity by up to 40 percent. According to the plan, the airport will add a runway, a terminal with a capacity of 15 million passengers and an airplane parking and maintenance area.